The new strategy states that the growth in world oil prices, from $27 per barrel in 2000 to $94 in 2008, exceeded projections of the Energy Strategy to 2020 almost four times. But domestic consumption of fuel resources has increased less than the former strategy goals, "mainly due to reduction in demand in 2008 due to global economic crisis." The aim of the new strategy, as well as in the previous one, is declared to be "transition from the fuel and raw materials models to innovative models of development". Nevertheless, the strategy states that by 2030 energy exports will remain a major factor in the development of national economy, although the extent of its impact on the economy will shrink. The strategy is divided into three stages: renovation and modernization of the Soviet built fuel and energy complex (until 2013-2015), phase of energy efficiency implementation (up to 2020-2022), and the latest breakthrough phase (until 2030). One of the objectives of the new strategy is declared to be "the need to improve energy efficiency and reduce energy consumption to the level of countries with similar climatic conditions (Canada, Scandinavian countries)". Another task is "to reduce pollutant emissions, wastewater discharge, and emissions of greenhouse gases as well, to reduce waste production and energy consumption". In the field of energy efficiency, at least two-fold reduction of energy intensity of GDP is planned, with 10% reduction in specific fuel consumption by heating plants. Strategy states that from 2009 until 2030 Russian electricity sector needs investments of $572-888 bln. Investments in the energy industry as a whole for the same period should make $1819-2177 billion. Renewable energy (excluding hydro power plants over 25 MW) according to Strategy 2030, needs 113-134 billion dollars. Thus even the "Rossiyskaya Gazeta", official newspaper of the Russian government, described the Strategy 2030 in a pejorative tone as a "document for documents”, noting that "it is hard to find in the Strategy specific recipes to achieve its goals. " "Rossiyskaya Gazeta" also noted that it is difficult to talk about innovation strategy, while energy balance in the Strategy 2030, where proportion of "exotic" energy sources varies from 0.1 to 1.4%, within the error range of calculations. Strategy 2030 lists as scientific innovations dubious nuclear technologies, including "thermonuclear fusion based on domestic innovations and international cooperation." 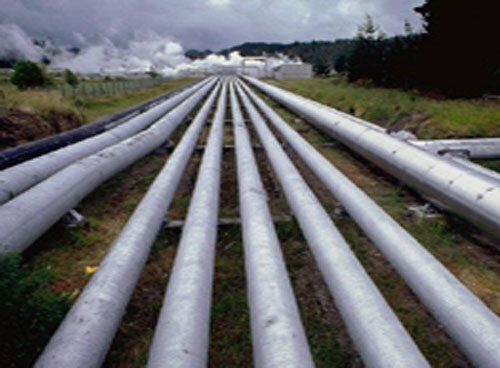 At the same time a significant role in the Strategy 2030 play projects related to fuel and raw materials model of the country development - Nord Stream and South Stream gas pipelines, "Eastern Siberia - Pacific Ocean" oil pipeline etc. (one of the scenarios in the Strategy comprises growth in hydrocarbon exports to Asia-Pacific region up to 26-27%).